Running back, Ron Dayne was born March 14, 1978 in Berlin Township, New Jersey. He is best known for holding the NCAA record for career rushing yards, winning the Heisman Trophy. Dayne is usually considered one of the greatest backs in NCAA football history. Known as The Great Dayne throughout college, Dayne was the starting running back all four years at Wisconsin. Never a flashy or boisterous player, Dayne was a workman-like back, expected to carry the ball as much as necessary - he had 1,220 carries during his career. Over his four seasons, Dayne chased the NCAA Division I-A rushing record for total yards in a career. He gained 1,863 yards as a freshman, 1,421 as a sophomore, 1,325 as a junior, and 1,834 as a senior. He finally broke the record in the final game of the 1999 season against Iowa. Dayne ended his career with 6,397 rushing yards, eclipsing the record set the previous year by Ricky Williams of Texas. Dayne was selected with the 11th pick of the 2000 NFL Draft by the New York Giants. Dayne's first season was filled with promise as he teamed up with Tiki Barber in the backfield to create the tandem known as Thunder and Lightning, a combination of Dayne's power and Barber's speed. The Giants went on to play in Super Bowl XXXV. Over the next few years, Dayne's carries slowly diminished, with head coach Jim Fassel growing increasingly upset with Dayne's lack of commitment to lose weight. Fassel also did not like Dayne's initial running style, that of a halfback, and instead tried to make him a goal line back. After Fassel was fired, Dayne received a second chance under new head coach Tom Coughlin and shed 40 lbs. Football stars such as a Ron Dayne have taken the game to new heights by excelling at their respective position. 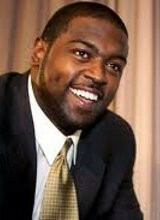 The booking agents at AthletePromotions can assist with Ron Dayne speaking engagements or appearances from NFL stars. We have years of experience in booking gridiron greats for keynote speeches and autograph signings. Hiring a football speaker like Ron Dayne is not a hard process. Our agents can provide availability, fees and all costs associated in bringing out a successful football star to your next corporate event. We can find Ron Daynes agent to make this booking happen. A Ron Dayne appearance will add energy to your upcoming event and reward employees, customers and clients.Most likely, football fans and corporations can find Ron Dayne's official website, charity involvement, Twitter account, representation, publicist and management info at www.Ron Dayne.com.